Create Abundance in Today’s Economy? Wall Street Expert/Visionary Author of “Sacred Economics” Tells How on Telecall Wed, Jan 22. Workman and Ruster will be offering Q & A time between each topic, giving listeners with questions a chance to get direct answers. Listeners will learn innovative ways to create this new economic paradigm, re-imagine the nature of genuine wealth and help weave both masculine and feminine energies of a new, resources-based economy into a whole living organism. Hummingbird Community states that the registration is filling up and will likely sell out. Although the call is no charge, listeners must register prior to the call. To register, please click on this link: http://www.hummingbirdlivingschool.org. 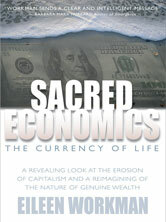 “Sacred Economics: The Currency of Life” is available at http://www.museharbor.com and Amazon. com. Formerly a First Vice President of Investments with a top international Wall Street firm, Workman is available for seminars, speaking engagements, radio and TV interviews by contacting margaux(at)museharbor(dot)com. Hummingbird Community provides and hosts educational programs, conferences and retreat experiences that support conscious evolution, loving relationships, regenerative living, new economics, health and well-being. Publishing can be a brutal business, mostly because it is a business, and the collision of creativity with commerce can leave writers bloodied and disillusioned. At Muse Harbor, our core principle is simple: money flows toward the writer. We do not take money from authors to publish their books. Ever. This extends to all facets of our business: there is no earnout, so our authors start earning royalties from the very first copy they sell. We don’t charge authors money under the guise of “additional services,” like editing, book design, cover design, or a better marketing package. There are no “reading fees.” We don’t steer our authors towards agents who will then submit books to us and take a kickback when we accept the manuscript. We don’t assign copyright to ourselves, or pressure authors to buy their own books, or any of the other shady things that industry predators do to separate authors from their work, their money, their sanity, and their basic faith in humanity. Plainly put: we do not exploit the writer. Many new companies have sprung up in recent years that were created to cash in on the explosion of self-publishing by donning the trappings of a publishing house in order to sell services to authors. But they’re not publishers, they’re consultants. Their business model centers on the extraction of money from writers who have worked long and hard on their books and want to see them in print. Muse Harbor Publishing’s business model is based upon the extraction of books from writers whom we want to see in print, and a fervent belief that in the midst of corporate consolidation, monopolization, and industry-wide upheaval, there’s still a place for a publisher that respects authors, loves books, and wants to make as many of them as it can. Santa’s Pick to Calm Holiday Stress? “Awakening Into Perfect Peace” author teaches how to be drama-free anywhere. This season, a new book could actually bring more happiness than Santa Claus. Awakening Into Perfect Peace: Reflections on Freedom from Suffering, by Dr. Ralph Huber teaches readers easy-to-use tips to make themselves happy, for life. Helping someone free themselves of life’s personal drama, confusion and Holiday stress might land that gift-giver a permanent spot on Santa’s “nice” list, making everybody happy. On Sunday, November 24, 2013, Unity Santa Fe, New Mexico will host a book signing for Communications Expert and Author Dr. Huber’s new book, “Awakening Into Perfect Peace.” Dr. Huber will be answering questions from his new book, based on his popular course and workshop of the same name. Dr. Huber’s book is packed full of easy paths to inner peace. Readers of these life-transforming tips will learn to see and understand frustrations in a brand new way, free themselves from suffering, allowing calming “Ahhhhs” to replace stressful situations. Dr. Huber believes that inner peace is achieved through the path of least resistance, which is often the simplest path to take. “Most of life’s conflict is self-inflicted,” says Huber. 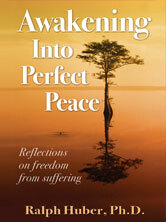 Awakening recently launched on 2013’s International Day of Peace from Muse Harbor Publishing. It can be found on Amazon.com and museharbor.com. Ralph Huber’s professional background includes educator, corporate trainer and vice-president of a New York based management consulting firm that offered services to major communication and retail industries. He is currently a member of Hummingbird Community in northern New Mexico and serves as board president for the Unity Church in Santa Fe. Ralph holds a Ph.D. from New York University’s Department of Communication Arts and Sciences. He has an affinity for Advaita, Zen and Christian Mysticism. An engaging, inspirational speaker with practical “happiness” tips that benefit any reader, listener or viewer, Dr. Huber can be reached for further interviews, including Radio, TV, Print, Online Blogs and event speaking engagements, by contacting Margaux(at)museharbor(dot)com. Friend Dr. Huber on Facebook and visit his book event this Sunday, November 24, 2013 at 11:45 a.m. at Unity Santa Fe, 1212 Unity Way, Santa Fe, New Mexico 87506. For information on Huber’s personal coaching and seminars, visit www.awakeningintoperfectpeace.com. The Internet has changed the way we communicate. Words that once trickled across the world in days or weeks now flood it within minutes. That rushing tide has changed the nature of publishing, and it’s changing literature. 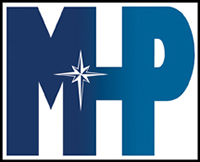 Muse Harbor Publishing is a part of that change. We strive to challenge the ordinary. To dismiss the mundane. We hope to transform, for those of you who write, how you’re read and who wants to read you. Our goal is to provide unknown writers of both nonfiction and fiction with opportunities that traditional publishing doesn’t offer. We’re committed to giving as many people as possible the chance to read your words and experience your vision. We want you not only to feel appreciated, but to know it. We recognize that the pursuit of excellence is just that: a pursuit. Our primary motivation for publishing a book is not the number of copies it will sell, but how deeply its words resonate with us and how much potential we see within its author. We’re drawn to the power of a coherent mind and a fantastic soul, mesmerized by a unique voice, entranced by sharply articulated insights and masterfully written tales. These are the same values that have enticed audiences since the telling of the first stories, and they often become lost within the modern business of literature. We want our authors to succeed, not merely for the sake of this company, but for themselves and for the benefit of their readers, whose trust and willingness to be transported by the power of language is the reason we’re here. We’re bohemian technophiles who understand that bytes and pixels present an unprecedented opportunity to connect independent thinkers and storytellers with readers. We offer extraordinarily high revenues to writers, who, like us, are looking for no greater success than the chance to create and be supported while doing so. We’re also a family, with a small staff and a small but growing stable of writers, all determined to explore what it means to be a writer in the 21st century. Above all else: we are writers helping writers, in service to our readers. We consider Muse Harbor to be a place of sanctuary and tranquility. For those of you who write, check us out. For those of you who read, we offer a simple gift: productive, happy, prolific writers who have amazing stories to tell. Inner peace in a traffic jam? Inner peace in a traffic jam? Absolutely, says Dr. Ralph Huber, author of the new book “Awakening Into Perfect Peace,” launching on International Day of Peace, Saturday, September 21, 2013 from Muse Harbor Publishing. Communications Expert and Author Dr. Ralph Huber is bringing to radio bite-size nuggets of his popular course on how to become free of personal drama, confusion and stress with a new platform of easy-to-use tips for listeners to follow, even if they’re behind the wheel. Dr. Huber’s course teaches how to find freedom from life’s emotional roller coaster, and shares practical steps from his new book, “Awakening Into Perfect Peace: Reflections on Freedom from Suffering,” which is featured onhttp://www.awakeningintoperfectpeace.com. Listeners of these life-transforming tips will “behind-the-wheel” calming exercises and empowering mantras to free themselves from psychological suffering, find resonance with their true peaceful nature, and avoid destructive temptations to argue with life “as life is”; even while they’re bumper-to-bumper. Dr. Huber believes that inner peace is achieved through the path of least resistance, which may also make it the simplest path to take. Ralph Huber’s professional background includes educator, corporate trainer and vice-president of a New York based management consulting firm that offered services to major communication and retail industries. He is currently a member of Hummingbird Community in northern New Mexico and serves as board president for the Unity Santa Fe. Ralph holds a Ph.D. from New York University’s Department of Communication Arts and Sciences. He has an affinity for Advaita, Zen and Christian Mysticism. An engaging, inspirational speaker and a communication visionary, Dr. Huber can be reached for further Radio, TV, Print and Online interviews or event speaking engagements, by contacting Margaux (at) museharbor (dot) com. Friend Dr. Huber on Facebook, and visit Muse Harbor Publishing for more information on his upcoming book launch signing on Sunday, September 22, 2013 at 11:45 a.m, at Unity Santa Fe, 1212 Unity Way, Santa Fe, New Mexico 87506. For information on Huber’s personal coaching and seminars, visithttp://www.awakeningintoperfectpeace.com.